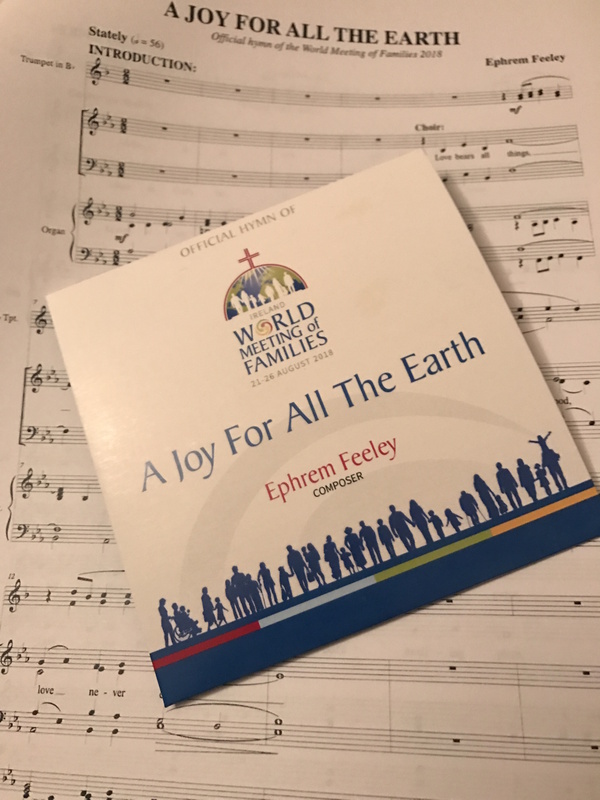 The official hymn for the World Meeting of Families 2018 was launched today in Dublin at an event attended by Cardinal Kevin Farrell, Prefect of the Vatican’s Dicastery for Laity, Family and Life. The hymn called A Joy For All The Earth was written by Irish composer Ephrem Feeley. A Joy For All The Earth was produced by Dr Sharon Lyons and recorded in Blackrock College Chapel. It features soloists Dr Sharon Lyons and Derek Malady. The adult choir performing on the recording of the hymn is WMOF Chorale and the Children’s Choir is Piccolo Lasso, directed by Dr Ite O’Donovan. Musicians include Professor Gerard Gillen on the organ; Denice Doyle and Aoife Dowdall on violin; Karen Dervan on viola; David Doyle on cello; Mark Adams and Martin Smutney on the trumpet; and, Dr Paul McKeever on piano. The hymn was conducted by Damian Gallagher for the recording. The hymn’s composer Mr Ephrem Feeley is one of Ireland’s most established composers of liturgical music, with over 200 pieces of music suitable for use in Catholic worship. His music has been used in Catholic, Anglican and Lutheran churches worldwide, and is published in the USA by GIA Publications and OCP, and in the UK by Decani Music. Ephrem lives in Co Meath with his family. Click here to see the video for the hymn. The sheet music and an instrumental version are also available. For more information see worldmeeting2018.ie.